Nial has been with Acclaim since its very beginning. His skills in sales and his customer focus have seen the company through many stages.  Today Nial is Acclaim’s Managing Director and should be your first port of call if you have any general or sales Enquiries. Matthew Rutledge is Acclaims Accounting and Information Systems Manager. Matthew has more than twenty years’ experience in providing IT consulting services to the owners of small and medium-size businesses. Matthew’s specialties include business analysis, database management and integrated accounting software solutions. David is the Technical Sales Engineer for Acclaim. David has over 15 years experience in PC service and support and has training in both Novell and Windows Server solutions. Dave’s specialities include Windows Server and Networking technologies, Novell NetWare, Windows desktop solutions, general PC and LAN issues and integration along with PC service, support and upgrades. Richard is Acclaims’ Software Development Manager, and is responsible for co-coordinating all of Acclaims software development projects. Richard has a very extensive background in software design and project management, his specialties include Delphi, MS Access and SQL query language. Jessica joined Acclaim in 2006 in an administrative role. Since then Jess has gained a diploma in business, management and accounting, and has become fully qualified in MYOB Exo and MYOB Advanced. Jess is a Business Optimiser and an Approved MYOB EXO Business and MYOB Advanced Consultant specializing in installations and upgrades. Craig joined Acclaim in 2006, in the position of Technical Sales Engineer. Craig is Microsoft Certified Professional. He has supported all areas of Hardware including Networks, Servers, Desktops, Notebooks, Printers, Lan and Wireless connectivity. Craig also has extensive knowledge of Microsoft Server and Desktop software, specializing in support of Windows Server (including SBS and Exchange), Microsoft SQL Server and all versions of Windows Desktop operating systems. Michaela is our first point of contact in the role of office manager. John is a qualified Chartered Accountant with many years accounting and systems experience in the commercial sector. For over fifteen years he has installed and supported various software packages, including extensive financial report writing. Sacha joined the Acclaim team in February 2017. Sasha’s main speciality focuses on client support, report design and enhancement. Sacha holds a national record in Archery, but to be fair she was the only competitor in her division. Ashton has joined the team in June 2014 to assist Richard in Software Development, having completed a BEng (Hons) majoring in Computers and Electronics. Kelly is a qualified Associate Chartered Accountant with over 10 years’ accounting experience. Kelly is an energetic person and a highly motivated team member who prides herself on adopting an innovative yet practical approach. Why not get in touch, we’re always keen to catch up for a chat to see how our solutions can fit with your business.